AIRCOS is a powder expert who brings to the market impacting textures, intense colors with unmatchable pay-off, out of large pallet of technologies. Creative and constantly in touch with the market, AIRCOS presents “made in France” formulas for standard or customized make up products. In addition, AIRCOS has a solid experience in plastic injection, printings, and proposes turnkey solutions dedicated to beauty industry. Our engineering team overcomes technical challenges to offer a cost-mastered stock or custom designed solutions within the highest quality standards. AIRCOS offers the most innovative products, secured developments, mastered processes within the fastest time-to-market. Albéa offers the world’s largest range of beauty and personal care packaging and solutions. Its 15,600 people serve large and small customers in 60 countries across the world and operate 38 facilities in Europe, Asia and the Americas. Albéa’s committed teams provide local presence and global reach; robust capabilities in innovation & design as well as project management; solid operating excellence; world-class manufacturing, decoration and full service; as well as a strong commitment to Corporate Social Responsibility. ALKOS Group is one of the most influential players in the private label cosmetics and beauty industry, and is dedicated to offering the largest and most innovative range of high-quality and “Made in France” color cosmetics, skincare and personal care products (perfumed soaps and deo sticks). With strong core values of high-quality standards, outstanding tailor-made service and ready-to-go turnkey products, ALKOS Group can meet all market needs on every distribuition channel. The Group includes ALKOS Cosmétiques (historical makeup pencil expert), INTER Cosmétiques (makeup and skincare specialist) and SAGAL Cosmétiques (Soaps & deo sticks professional). ANCOROTTI COSMETICS GROUP operates in R&D and manufacture of make-up and skin care products for the main international brands. The expertise and the engagement to anticipate the forthcoming market desires has made ANCOROTTI COSMETICS a recognized leader in the formulation of eye, face and lip make-up. The turnover of ANCOROTTI COSMETICS GROUP increases from year to year and there is no other secret in this expansion than the development of quality products well suited to customer demands and industrial facility that we are committed to maintain at its highest level. Asadal Beauty Product Co.,Ltd founded in 1985 is a Korean makeup brush maker who runs its own factory named Changjo in Hebei, China with 150 employees. It has been holding ISO 9001 and FSC certification with selling worldwide based on OEM/ODM and making markets satisfied with innovative thinking and excellent quality thanks to its constant effort and strict Q/C. Development new material is a core point. Our constant effort for researching alternative and eco-friendly materials for each part of the brush will contribute to the protection of the environment. 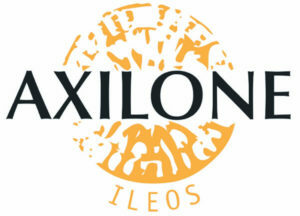 Axilone is a leading player in plastic injection and aluminum stamping for the markets of makeup, fragrance and skincare, based on a global presence in Europe, the US and China. For over 50 years, Axilone has developed a full value chain in its factories, which extends from the design and production of molds and components to the completion and assembly of lipsticks, closure solutions or jars. In partnership with the most prestigious beauty Brands, Axilone has become a key player in its sector and World leader in the field of Premium lipsticks. A Chinese manufacture with 14 years history for Makeup Packaging components, and speciallized in PALETTES, lipgloss vials, lipstick cases and powder jars etc. Main market is EU & USA. Baralan, for more than 50 years, synonymous with passion, innovation, quality and efficiency in the cosmetic packaging world, offering a wide range of standard glass and plastic containers for color cosmetics, fragrance and skin care, easily customizable and widely distributed throughout the world. Baralan, depuis plus de 50 ans, est synonyme de passion, d’innovation, de qualité et d’efficacité dans le secteur du packaging pour l’industrie cosmétique, en proposant et distribuant dans le monde entier une large gamme de produits en verre et en plastique, personnalisables, pour le maquillage, le parfum et les soins de la peau. Bell provides high-quality services in contract manufacturing of color cosmetics. 30 years of experience in creating various formulations, commitment to quality and flexible approach to every Client ensure the highest level of efficiency. We create new cosmetics with passion and according to worldwide trends. Each season we present variety of new colors, textures and effects in lip, eye and face products. Wide assortment of in-house produced packaging gives flexibility and shorter lead times. The success in the number of signed contracts is the result of perfect feeling of the worldwide trends and our Clients’ expectations. Brivaplast Group, international manufacturer of cosmetic packaging, supplies the world’s leading beauty companies. Brivaplast produces an extended range of standard mascara and lip gloss items, as well as customized packaging. Highly focused on application solutions, Brivaplast designs, develops and manufactures a wide range of applicators for mascara, lip-gloss, liquid lipstick, eyebrow and eyeliner. An ongoing investment policy, in R&D and technologies, is key to sustaining Brivaplast own innovation programmes and supporting their customers’ specific developments. Brivaplast group has manufacturing facilities in Europe and in China. Depuis 1779, sept générations de la famille BULLIER se sont succédées à Saint-Brieuc (France) pour acquérir un savoir-faire unique. Nos pinceautières fabriquent à la main des pinceaux de maquillage et de soin d’une qualité irréprochable. Entre tradition et innovation, avec des poils naturels et des fibres synthétiques, nous continuons sans cesse de créer de nouveaux pinceaux pour satisfaire les marques les plus exigeantes. Du maquilleur professionnel à l’étudiant, en passant par le grand public, nous sommes à même de vous fournir les pinceaux adaptés à vos besoins et à vos cibles. Notre savoir-faire est à la hauteur de vos exigences. Avec plus de 20 ans d’expérience en cosmétique, CALYPSO MARKETING crée et produit une large gamme de stylos de maquillage pour les yeux, les lèvres et le corps. Pionniers sur notre marché, nous sommes à l’origine d’une des toutes premières formules d’eye-liner noir au carbon black. Nous proposons un choix de coloris répondant à toutes les attentes. En forte croissance, nous avons créé un environnement adapté à notre activité : locaux spacieux, matériel de conditionnement performant (décor, remplissage, étiquetage, codage) et collaboration des meilleurs fournisseurs et experts afin de proposer des produits de qualité. En 2019 nous lancerons un stylo avec applicateur pinceau. Chao Ling design and manufacture high-class cosmetics, cosmetic packaging and mold development. Product range include eye shadow, face powder, blush, lip gloss, eyeliner, multicolor…etc. We make filled kits for, Nocibe, Douglas, Guylond, Deborah, NYX ,SKINN Boticario Macy…etc. and empty packaging . Chiang Pao Industrial Co., Ltd. was established in 1991 with over 25 years history. 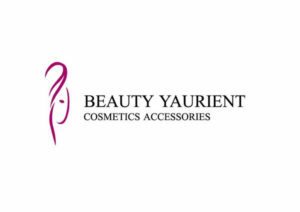 We specialize in manufacturing cosmetic packaging, color cosmetics formula and filling. We offer a full range of services such as mold design, manufacturing, filling and assembly. Offer the rich and various products category for color cosmetics. For example, lipstick, lip gloss, eyeliner, eye shadow, contour, brow, pencil, liquid foundation…etc. We are also certificated with ISO 9001, ISO 22716 and ISO14001. It is our vision to grow with our customer and offer the best private label service for color cosmetic. The Chromavis Group is the second largest worldwide supplier in the B2B make-up industry. Nowadays it is a Company which can offer its clients a complete range of solutions from make-up and nail polish products through formulas fully developed by its research laboratories. A wealth of experience, innovation and continuous investments in R&D and automation have guaranteed the industrial and creative footprint of the Company based on a customer-focused approach and a complete solutions offering (products and concepts, packaging and innovation). Chromavis partners with its clients enabling concrete and creative innovation that can really boost their time to market. COFATECH, creating images, is specialized in sampling solutions… from the most classical to the most innovative project. COFATECH, provocateur d’envies, spécialiste d’échantillons de Monodoses…. des plus classiques aux plus innovants. Founded in 1969 Confalonieri Matite is a wooden pencils manufacturer, working with the most known cosmetic brand names. Nowadays Confalonieri is focused to the future with innovative ideas and a new company structure and plant offering to the market a wide range of textures to face all various requests, developed with a very high customer service level. COREAPUFF is the sole puff company that collectively produces and supplies quality cosmetic puff materials in Korea. COREAPUFF is a company that takes a step forward in product development and quality by self-producing subsidiary materials and concentrating investment in Research and Development. Cosmecca Korea was founded as cosmetic specialist in R&D and manufacturing to become a mecca of cosmetics. With trendy product development, quality control, and world-class R&D capability, Cosmecca will become No.1 cosmetic OEM/ODM/OGM company. Cosmei is a young and dynamic company focused on proposing and developing a wide range of make-up packaging ready to be customized with creativity, dedication and passion. Our range satisfies the different needs of the customers extending from an essential and basic line to the latest innovations. As a partner of choice for major cosmetic brands worldwide, from trading to Innovative concepts, we offer a high added value for packaging, brushes & tools. Our specialty is our expertise on application with our patented range of Squeezable tubes with applicator tips, Attract ONE range, many patented brushes and accessories. Our Marketing and R&D team continue to monitor the markets, trends and cultural habits to develop the packaging, brushes, applicators, treatments and gestures that will accompany the performance of tomorrows’ cosmetics . « La société CREAPHARM COSMETICS, anciennement Laboratoire Onyligne, a été créée en 1981 dans l’Oise. Elle appartient depuis 2009 à CREAPHARM GROUP. CREAPHARM COSMETICS est sous-traitant / façonnier de produits cosmétiques et parapharmaceutiques : formulation, fabrication et conditionnement. Le site de CREAPHARM COSMETICS est certifié BPF cosmétiques ISO 22716 / ECOCERT / COSMOS. • Coulage à chaud, notamment de sticks et de baumes à lèvres. 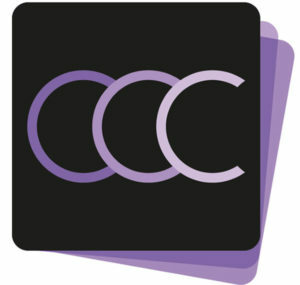 Crystal Claire Cosmetics Inc. is a privately owned company established in 2004, located in Toronto, Canada. We live and breathe cosmetics, our years of experience in the beauty world drives our deep passion to continuously explore innovation breakthroughs with our clients. When it comes to integrated full cosmetic services, Crystal Claire Cosmetics has no peer. 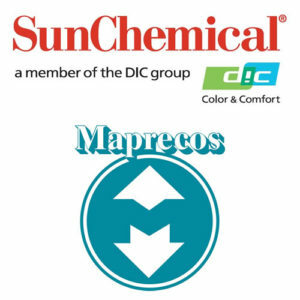 We set ourselves apart as a company that can uniquely provide comparable opportunities for finished high quality products at competitive pricing. You will also benefit from synergies of our working relationship with our sister company, Crystal International Group Inc., a high quality manufacturer of cosmetic packaging. Since its establishment in 2001, CTK cosmetics Co,.Ltd. has veen exponential growth producing and exporting global brand cosmitics based on the key competence to produce innovative beauty products. As a manufacturer without direct factory ownership CTK has created value by combining the existing technologies and service in a totally differenct way. This new way focusese on specific know-how, including intellectual property rights, control of the production process, product planning, R&D and design. CTK cosmetics Co,.Ltd. efforts are committed to constantly by the leading cosmetics development company in the world reaching always towards the highest goal. DAITO KASEI, the leading manufacturer of surface treated ingredients and key player of innovative functional agents, is also offering a large number of natural products, responding to the consumers’ expectations. DAITO KASEI EUROPE, the subsidiary located in France, distributes the range in Europe, but also in Africa, South America and Australia. A distribution network has been set up to provide a technical support worldwide. DAITO KASEI has two application laboratories which develop original and innovative formulations according to the last trends and customers’ needs. The group wanted to produce closer to its customers so it has a french operational factory, DAITO KASEI INDUSTRY FRANCE. Derik Industrial Inc is a makeup primary packaging manufacturer with 22 years of expertise. Derik’s product portfolio includes standard and customized compacts, palettes, mascaras, eyeliners, lip gloss, lipsticks, chubby, click-pens etc. As an excellent mold maker, Derik has fast tooling and development, which is primordial for time to market. Derik opened a brand new 70 000 m2 factory nearby Shanghai. The new facility is fully automated with custom designed equipment allowing maximum production speed for large runs, also providing flexibility for short run. Thanks to the ‘boutique-factory’ style, Derik always supports customers’ new launches with creativity, flexibility and reactivity. We connect and combine packaging and product design, standard packaging, bespoke development, production and decoration, as well as all necessary brand communication methods. We look forward to discussing your next development, beginning with your initial brand concept, right up to and beyond the project launch. Our approach offers an interdisciplinary team of creative, strategic, and technical experts. The Bakic Group offers technically correct, smartly designed and reliable solutions while taking responsibility for the whole. EISEN SHARPENERS For almost 100 years, we have carefully developed and manufactured every sharpener with an eye towards quality, innovation, craftsmanship and performance. We continuously invest into up-to-date manufacturing technology and introduce innovative decoration techniques as well as sophisticated pack-out options. New models incorporating the latest patented innovations complete an extensive range of classic sharpeners. An effective supply chain linking both manufacturing locations makes sure that EISEN supplies customers worldwide as they expect it. Make the EISEN sharpener your brand messenger – an essential beauty tool that guarantees perfect application ! With a 20 years experience, ESSENTIA BEAUTY, specialized in the creation, development and manufacture of Fragrances & Cosmetics, is dedicated to support brands and retailers with innovative beauty concepts offering very competitive timetable and cost. Our mission is to strive to better understand consumer changing demand and create products that truly appeal to their needs. We work close to our customers in order to completely adapt concepts to their brands identity. To offer always more value added, Essentia Beauty has developed innovative packaging concepts and ready to go formulas. We will be happy to welcome you in our Booth K42. Focusing on colour cosmetics and nail care, Faber-Castell Cosmetics is one of the leading private label manufacturers worldwide. Thanks to an intelligent modular system of formulations, packaging and accessories, they design and develop state-of-the-art standard and customized products as well as individual product developments for every make-up application. Innovation, quality, reliability and efficiency characterize their products and services. Faber-Castell Cosmetics successfully combines the heritage, tradition and sustainability policy of the Faber-Castell name with the modern challenges of the dynamic cosmetics industry. Since 1977, we haven’t aimed to be the best in everything: just in nail polish. By relying on savoir-faire, quality and creativity, we have built the company into the cosmetic industry’s leading manufacturer of nail polish. Our team is comprised of the industry’s top talents in research and development, production, color and marketing. As a result, Fiabila stands for the best formulas, a combination of breakthrough performance, exciting textures and perfect stability. With 12 factories in 7 countries, our reach is worldwide. FR&PARTNERS is a full service global packaging company specialized in the design and development of all types of packaging. With 5 key Strengths, Progressive Distribution, Collaborative Innovation, Technology Scouting, Product Pioneering and Design & Supply, FR&PARTNERS is ready to help bring a solution to any packaging issue. FR&PARTNERS pioneered the Packaging Innovations Platform in distribution and is ready to improve the consumers experience through packaging. FR&PARTNERS is at your disposal for all your packaging needs! Founded in 1925 the GEKA Group has become one of the world‘s leading manufacturer of brushes, applicators and of complete packaging systems for the cosmetics industry. Our product expertise, constant flow of innovations and countless patents mark us out as the application specialists. The product portfolio comprises applicators and packaging systems for mascara, lip gloss, eyeliner, and fully finished products. In addition to that, we design, develop and source all types of accessories such as cosmetic brushes, powder puffs, sponges, hair products and massage items. In 2016 GEKA has been acquired by the Swiss company Sulzer and is now part of their fourth division “Applicator Systems”. Production of Decorative Cosmetics and Make-up. The creation of new formulations, innovative production technologies and the enormous experience allow our company to be constantly ahead of the market. All products are Clinically/Dermatologically Tested, manufactured in according to Italian Laws and European Regulation CE 1223/2009 for Cosmetic Products, in accordance with ISO 22716:2007 on GMP, in full conformity to EU, FDA and Japanese Standards. Manufacturing phases exclusively made in our facility in Milano Italy. Company UNI EN ISO 9001:2008 Certified. HCT Group will showcase its state-of-the-art design and manufacturing process during Makeup in Paris. With distinguished locations all around the globe, HCT Group has expanded its services to include six individual divisions that continue to guide its customers through the complete development process; HCT Packaging, HCT Brushes, HCT Airless, HCT Beauty, HCT Metals and HCT POS. HCT’s Beauty division has established an incomparable presence as the visionary leader in product development and full turnkey offerings. Comprised of the latest generation of raw materials, each formulation is customizable and uniquely designed through cutting-edge technologies that far surpass industry standards. Le Groupe Heinz compte parmi les leaders du flaconnage verre et plastique. Notre offre spécifique ou standard s’adresse à l’industrie de la parfumerie, cosmétique et maquillage. Les nombreuses possibilités de décor et capots font également partie de notre proposition. Hemao Cosmetics has been servicing the beauty industry since 1998 with factory in Huizhou where is a fully-equipped cosmetics manufacturer with 16,800 m2, is solely-owned by Taiwanese. Our exceptional product quality and customer-oriented culture have earned consistent recognition for excellence worldwide. Our credentials include ISO22716:2007(E) Cosmetics/GMPC, ISO14001, SQP, SA8000 and BRC as well as passed Wal-Mart and Disney audits. We offer full line one-stop-shopping for our customers’ OEM, ODM and PRIVATE LABEL needs, specialize in cosmetics gift sets, eye shadow, blush, bronzer, lip gloss, lip stick, mascara, eyeliner as well as cosmetics accessories and packaging components. Hwa Sung Cosmetics is a Korean color cosmetic manufacturer, which pursuits innovation and high quality. Through its constant efforts and investments, Hwa Sung Cosmetics has become one of the leading manufacturers in innovations. With its success in domestic market, Hwa Sung Cosmetics is now expanding its recognition to all over the world. Hwa Sung Cosmetics’ ultimate goal is to become the best color cosmetic manufacture in the world. With its motto, “Integrity, Innovation, and Quality”, Hwa Sung Cosmetics will endeavor to achieve its ultimate goal. IL Cosmetics, #1 in Europe, is a worldwide leader in the development and production of Nail Polish, mascaras, eye-liners and lip-gloss. For more than 30 years we’ve developed an expertise in formula developments, working with clients all around the globe, offering 360 full service products as well as bulk. With a focus on R&D and thanks to specific teams focused on market trends and innovation, we continuously develop high performing technologies in cosmetics. Oriented towards service and with the capacity to offer our clients tailor-made solutions, we become the key partner for any cosmetic development you might need. Italcosmetici is a make-up private label contract manufacturer. For the past 35 years Italcosmetici has been at the forefront of the make-up industry. We design and produce highly innovative top quality products with security standards, high regard and respect for the environment. We offer a tailored service for clients to identify and place new products on the market, laying the bases and supporting them in the pursuit of their success. From research to production to realization and launching of the product we are able to guarantee a full service. We develop high quality formulas increasingly oriented towards respecting the environment, integrating natural products with active ingredients. iTiT Cosmetics is a contract manufacturer specialized in make-up and face treatments; it was born in 2011 and located in Cantù, nearby Como (Italy). Our main goals are to follow the highest quality standards and to satisfy all the client’s requirements and needs. We are specialized in lip products (lipsticks, lip balm, liquid lipstick, lip gloss), eyes and mascara products and face products (foundation, BB and CC cream, concealer). We are ISO9001, ISO22716 and Ecocert certified and we can offer different solutions and services according to the customers’ needs: Bulk production only, Production and Filling, Full Service. JESPON Jespon has long been recognized as a leader in the manufacturing of high quality Cosmetic Sponge and Puff since 1972. Our company professionally researches, develops and produces the best products to provide Worldwide Cosmetics Industry. Furthermore, we have 3 China Factories in Guangdong&Dongguan&Jiangsu for cost effective and customer service. Our production is totally dedicated to provide our customer of request and product development We are proud of ourselves for making what we believe is the best sponge,Brush, Puff and Cosmetic Accessary material available. Jia Hsing Enterprise Co., Ltd, a worldwide well-known professional cosmetics manufacturer, is founded in 1967. The production ability includes plastic injection, aluminum punching, hot stamping, printing, vacuum metallization and UV coating. J.H.’s clients constantly enjoy unique benefits from our all-in-one service. With one order, a client gets components, filling, secondary package design and logistics from J.H. teams. For long, J.H. has been devoting itself to a continuous development, innovation, and investing on soft and hard assets. Well credited with certificates such as ISO9001, ISO 17025 and GMP, we guarantee to provide an amazing and unbeatable quality to all our valued clients. Professional Make Up Kits (finished product and package) contract manufacturer (OEM/ODM). Our Factory can do including design and open mould, injection, assembly, then mix, press powders, and final packing. We have passed ISO 9001, ISO 22716, and GMPC, WCA…etc, and own a lab which has same equipments as SGS or ITS…etc. Therefore, our quality can meet all countries’ cosmetics regulations. Laffon acts since more than 30 years in the segment of Color Cosmetics packaging. Laffon offers to the market an extensive range of standard models designed to create complete and harmonized ranges of make-up products: compacts for eye shadow, blush, compact powder and compact foundation. Each item can be customized thanks to the high-tech manufacturing processes, the variety of used materials, through the ingenious use colour, surface treatments, special decorative techniques, logos and inserts. Laffon standard designs offer to customers packaging solutions with innovative technical features reflecting the rules of the fashion and its rapid change. Lessonia est le leader européen pour la fabrication et le conditionnement des masques et plus spécifiquement des masques imprégnés. Nous offrons une large gamme de sérums (anti-âge, hydratant, purifiant…) et de matériaux (Lyocell, Bio cellulose, charbon…). Lessonia est également spécialisée dans la fabrication et le conditionnement de produits skincare et spa (démaquillants, sérums, crèmes, gels, huiles…). Lessonia is the European leader for sheet masks manufacturing with a wide offer of serums and materials (Lyocell, Bio cellulose, charcoal…). Lessonia is also specialized in the manufacturing of skincare and spa products (cleansing milks, serums, creams, gels, oils…). LF Beauty est une entreprise de beauté mondiale avec des experts de l’industrie dans les principales villes du monde. Elle est spécialisée dans la fourniture de solutions dans le secteur des parfums, des soins cosmétiques, des cosmétiques couleurs et des instruments de beauté, pour les marques de renommée mondiale, les distributeurs et les entreprises de marketing direct. LF Beauty propose une offre globale de la formulation, aux packagings cosmétiques (primaires et secondaires), la production d’accessoires et beauté instrumentale, à la PLV. The Libo Cosmetics Company, Ltd. designs and manufactures excellent cosmetic packaging solutions. Our manufacturing facilities are located in Dongguan, China and in Changhua, Taiwan. Established on January 1, 2000, we’ve become a medium-sized enterprise with production and management facilities covering over 40,000 square meters and employing over 800 professionals. Spécialiste français de la dose thermoformée pour échantillonnage et produits vente, à la fois pour le maquillage, les soins et l’hygiène corporelle. Livcer est reconnu pour son savoir-faire en produits coulés à chaud, sa flexibilité, son expertise dans l’étude des moules spécifiques et son offre globale en full service. We specialize in sampling and single dose thermoform packs. We have more than 130 standard molds for both skincare and color cosmetics. With emphasis on graphics and color, the sample can be presented as a tester or an exact replica of the product. Thermoform packaging is a critical component for any sampling strategy or perfect for single dose retail packaging. Lumson is a leading company in Europe in development, production, and distribution of packaging for the cosmetic and make-up markets. The company founded in 1975 by the current President Cav. Moretti, and led today by Matteo Moretti, is at the head of a group operating on an international scale. Over the past forty years, Lumson has opened branches in a variety of major European markets (France, Germany, Great Britain, Spain, Poland), and also in the United States. Thanks to the relentless commitment to innovation by R&D and to the quality and passion of its dedicated staff, Lumson promotes itself as both a reliable and avant-garde partner always open to innovation and technology. MAPRECOS, Entreprise familiale française, est spécialisée dans la distribution de matières premières et accessoires cosmétiques. Pour ses 40 ans, elle s’associe à son fournisseur principal sur le MakeUp In Paris 2018 : SunChemical Performance Pigments, membre du Groupe DIC, l’un des leaders mondiaux de la couleur. Elle propose des colorants, des pigments (gammes SunCROMA, SunPURO et SOFT-TEX), des nacres de tailles variées (gamme SunSHINE et SunPURO), une gamme unique sur le marché (INTENZA) et des dispersions de pigments prêtes à l’emploi. Coté soin, SunChemical dispose de poudres perfectrices (gamme SpectraFLEX) ainsi que des charges minérales. Marino Belotti is specialized in designing, developing and manufacturing plastic containers for the cosmetic industry, earning an excellent reputation in this field. We partner of several Brands all around the world. Thanks to the experience and know-how, it deliver standard or customized products, associated to a fast and effecient responce to the constantly changing needs of Customers. One of the strong points of Marino Belotti is that the whole production processes, from the creative idea to the final product, are handled in-house. The moulds are make internally by our workshop, permitting also to transform a standard packaging in a tailor-made product, with an industrial foot print! Founded in 1793, Raphaël is Europe’s longest-running fine brush manufacturer. By working alongside make-up artists, we apply all our skills and expertise into providing international brands with only the finest-quality brushes. We work with them to design premium products that fully reflect their brand image. The company combines innovation, research and development with tradition and craftsmanship. Traditional family management, teamwork, best quality and customer service are Raphaël’s main priorities. Strict adherence to the development schedule and compliance with the highest quality standards are key to our service. The company currently manufactures almost 15 million brushes per year. Merck is a leading manufacturer of ingredients for the cosmetic industry. Along with ingredients, the company also offers functional fillers and effect pigments for color cosmetics and skin care products. In particular, effect pigments are used in many cosmetic products in order to provide color, luster, gloss and other effects. Merck offers a wide range of active ingredients used in skin care cosmetics to protect the skin against UV radiation and premature aging. Mktg Industry combines creativity, design, product development, research and production to supply packaging solutions and a 360° Full Service for the Cosmetics and Makeup market. A company with a unique and innovative range of products and services that can be individually selected or in Full Service for a “Turnkey” solution. From the marketing concept, to the final product ready to be marketed. We are manufacturer of textiles and innovative materials needful to produce cosmetic products. Our materials are involved in pressing powders, pressing baked products and as insulating elements for injection technology. NastriTex developed also Frame® which is a system to produce compacts with engravings on the surface without the use of a specific mold. Thanks to technology and service of NastriTex, the creativity of Frame® and continuous research of NastriTex Lab, we are now well ready to find new solutions to customers’ issues. We leave no stone unturned in our passionate and creative search for nonstop innovation. Italian contract manufacturer specialized in make-up for the changing world, the 1st make-up contractor with a fully certified Halal plant in Europe, Necos offers a wide range of formulas vegan and vegetarian friendly, without any compromise when it comes to performances and quality. The signature technologies are the “Hyperblack” enhancing the color intesnsity of the black emulsions such as mascaras and eyeliners and the “Crazy for Matt”, delivering a family of unique oustanding matt liquid lipsticks. 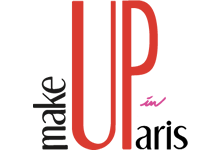 2 exclusive brand new collections of formulas will be unvealed exclusively for the 2018 edition of Make-up in Paris. Ningbo Jieli is a manufacturer of all kinds of cosmetic pencils. Founded in 1998, Jieli has been dedicated to being a full solution provider of cosmetic pencils for 20 years. We offer solutions including: Innovation, Product design, Mould tooling, Injection, Decoration, Printing, Assembly, etc. All processes are finished in house for better quality and lead time control. We have abundant experience of working for high end brands worldwide. Most of our products are exported to Germany, France, Italy, Japan, Korea, etc. We are on the way to be the most professional and largest supplier of cosmetic pencils over the world. Le groupe Nippon Shikizai est un partenaire privilégié des grandes marques de cosmétique présentes au monde . Nous avons trois usines japonaises et deux françaises (Thépenier Pharma & Cosmetics et Orléans Cosmetics, devenue Nippon Shikizai France). Nous proposons une expertise exceptionnelle sur tous les axes du soin et du maquillage. Nippon Shikizai group is a favorite partner of global cosmetic brands in the world. We have three plants in Japan and two in France (Thépenier Pharma & Cosmetics and Orléans Cosmetics, new renamed Nippon Shikizai France). We offer the expertise in all areas of skincare & make-up. Nortier Emballages imprimerie spécialisée dans la fabrication d’étuis pliants en carton pour les secteurs de la parfumerie et des cosmétiques. Implantée à St Ouen l aumône dans le Val d’Oise. OMNICOS GROUP IS AN ITALIAN CONTRACT MANUFACTURER COMPANY FOCUSED ON LIPSTICKS, EMULSIONS, MASCARAS, POWDERS AND AUTOMATIC PENCILS. ULTIMATE TECHNOLOGY, PROFESSIONALISM, ORGANISATION AND QUALITY, MAKE US THE PERFECT PARTNER FOR ALL COSMETIC BRANDS . OUR WORK IS FOCUSED ON THE CONTINUOUS SEARCH FOR HIGH QUALITY AND INNOVATIVE PRODUCTS TOGETHER WITH AN EYE ON THE NEW MARKET TRENDS . OUR PASSION, OUR RELIABILITY AND WILL TO GROW BECAME THE DISTINGUISHING ELEMENTS OF OUR COMPANY. Based in Shanghai since 1994, PARISTY is a leading manufacturer of color cosmetics. We provide global brands high-quality, innovative formulations, packaging and speed to market solutions. Paristy’s sister company, Prisma Beauty, will open the doors of it’s EU factory in fall 2018. Conveninently located just 20 km from Milano Centrale, Prisma will follow in Paristy’s legacy of providing our clients high-quality, innovative color cosmetics, great service and speed to market turnkey solutions. PASSAGE Cosmetics Laboratory is the contract manufacturer specialized in color and skin care products. We create, develop, optimalize formulations and technologies. We produce bulk and ready products. Our team is a group of qualified, competent and experienced specialists who have comprehensive knowledge of up-to-date technology, current trends and cosmetic product safety. Existing since 1988 we offer our clients loyalty and experience supported by fully equipped modern production facility. Our customers – multinational brand owners as well as small local brands can find in our full service offer interesting, tailor made products. Pennelli Faro is a contract manufacturer of cosmetic brushes located in Italy. A family-owned company, Pennelli Faro manufactures a wide variety of standard and customized brushes under private label since 1971, offering innovation, top quality and complete support in following its’ client needs, developing their creative projects and providing solutions and the newest ideas and trends. Organization, synergy between our technical and marketing/design teams, ability to develop customized projects with prototypes in short times, attractive positioning and a passionate dedication to quality allowed our company to affirm itself as a strong and reliable partner in the intl cosmetic market. Pharmacos is a sub-contractor manufacturing company specialized in the creation, development and production of cosmetic makeup – powders, lipsticks, colored emulsions, poured, baked and hybrid products. Our Company proposes a full range of makeup products, conscious of its competitive strength in offering innovation and high quality with rapid and efficient service. Pharmacos’ quality performances are ensured by an integrated management system under UNI EN ISO 9001:2015 and ISO 22716:2007 certifications, the international standards that defines Quality Assurance and Cosmetic cGMP (Good Manufacturing Practice) requirements. PIBIPLAST is a family company specialized in plastic packaging for cosmetic industry. The 4 factories are located in the North of Italy. We can provide plastic bottles, tubes and packaging for mascaras and lip gloss. We can offer a large range of stock items but can develop customized products. 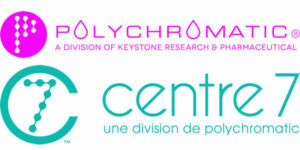 Manufacturing intermediates, bulk, & full turnkey services, Polychromatic is the newest division of Keystone producing nail polish for the retail, luxury & professional markets. Our state-of-the-art HQ is among the largest, most advanced nail coating production facilities in the world. Our scientists have created & patented technological breakthroughs in the beauty industry. Polychromatic’s French counterpart, Centre 7, is located in Limoges and brings over 2 decades of supplying the finest quality cosmetic products to the industry. Centre 7 is the ideal partner offering tailor-made nail polish, from laboratory developments, production of bulk, to full contract manufacturing services. L’objectif de PVL BEAUTE avec son usine partenaire en Thaïlande est d’offrir aux marques des expériences sensorielles de maquillage des lèvres avec une proposition de mécanismes, d’habillages complets et de nouveaux concepts attractifs. PVL BEAUTE a séduit et séduit encore les grands groupes de la Beauté, tant par sa gamme de solutions que par la qualité de son infrastructure, la qualité des produits et de son service. Depuis plus de 30 ans, la palette des savoir-faire s’admire sur les 4 générations des RAL Shiseido. PVL BEAUTE accompagne les tendances des marques au plus près des nouvelles textures sophistiquées et de l’hyper-hybridation des formules de cet univers. Since 1921, Reboul has been creating packaging for some of the world’s most prestigious color cosmetics brands. In 2017, Reboul became a member of Entreprise du Patrimoine Vivant (EPV), a recognition by the French government that rewards French firms for excellence in their field and industrial know-how. Reboul operates in a state-of-the-art manufacturing facility built according to RT2012 standards to provide optimized energy management. S&J was founded in 1980 and is now well established as an independent global contract manufacturer of high quality Cosmetic & Beauty Care products. S&J Manufacturers and develops for major international brands and retailers, producing over 190 million pieces of finished products each year, supplying over 50 countries worldwide. Alongside finished products for the beauty industry S&J have a large gift packing facility and can conceptualise, design, fill and assemble for a 360 pack off. Since 1977, Samhwa Plastic Co., Ltd., based in South Korea, has produced plastic components in the consumer and electronic industries. With a strategic focuse on the cosmetics business, we manufacture and deliver a variety of packaging models (airless pumps & bottles, jars, and compacts) /solutions for our customers wordwide. Founded in 1991, the Scanavo group of companies specialises in plastic, metal and paper board packaging, offering a wide range of solutions to customers across several industries. Scanavo Beauty & Cosmetics division offers a comprehensive range in off the shelf and custom built packaging solutions for primary and secondary skincare packaging, airless components and patented metal packaging for makeup including a full service turnkey solution for palettes in metal, plastic and cardboard. We also manufacture bespoke rigid, semi-rigid and foldable cardboard boxes, suited for every occasion. Contact us at sales@scanavo.com to learn more. At Schwan Cosmetics, we are committed to providing our clients with solutions that allow them to meet & exceed their consumers’ expectations. Whether you are a well-established brand or a start-up, we help you create a successful business through innovation beyond product, quality and agility. With a unique network of clients, business associates & experts, we are the experienced partner of the worldwide beauty industry. As a pioneering designer & manufacturer of modern pen cosmetics, we recognize, create & shape the innovations of today & highlight what’s to come tomorrow. This is what we stand for: Tomorrow’s Beauty. Now. Sheencolor Biotech Co, Ltd was founded in 1948, moved from Taiwan to China since 1987. We have been providing high-quality makeup products to private label brands.Our factory has manufacturing facility and professional in house Laboratory over 35,000 square meters. We provide OEM and ODM full range of services: -Thousands of stock formula -Products innovation concepts -Customized designs packaging -Color Trend focusing -In-house Laboratory testing Our raw materials are imported from Japan, Taiwan, U.S. and Western Europe to ensure the highest quality for our products to meet U.S. FDA standards and European, REACH standards. SHYA HSIN PACKAGING was established in 1970. For more than 40 years, we specialized in the design and manufacturing of cosmetic packaging and provided R&D solutions to cosmetic brands globally. We are a full-service company: We provide a concept to advanced packaging solutions that fulfill all your design directives. We start the development with a prototype, in-house mold making, to product manufacturing with a strict quality control and logistics services. We shall embrace all your challenges with an open-mind and strive to overachieve. We are known on the Market for our adaptability and efficiency: we shall contribute to grow your business and steer it to a brilliant future. SIMP est un créateur et un expert du développement et de la fabrication de pièces micro-injectées en plastique et caoutchouc sur le segment de l’applicateur plastique cosmétique à haute valeur ajoutée. Précurseur de cette technologie et à l’avant-garde de l’innovation, SIMP est aujourd’hui un acteur incontournable sur le marché de la cosmétique à l’échelle internationale. SIMP is one of the world’s leading designer and manufacturer of brushes and applicators for the cosmetic industry and is among the forefathers of plastic and rubber injection technology. Always in the forefront of innovation, SIMP is now a major actor in the Beauty market on an internationale scale. For several years now, Sleever International, creative leader in Sleeve technology, has been investing its know-how in the makeUp world. This year Sleever MakeUp take a step ahead with new exclusive special effects, allowing you to revitalize your sales and answer the MakeUp market trends. Créée il y a bientôt deux siècles et déjà experte des corps gras, Stéarinerie Dubois poursuit son développement en France et à l’international, grâce à son expertise industrielle et ses innovations. Depuis peu, l’entreprise a d’ailleurs obtenu le statut d’Opérateur Economique Agréé (OEA), ce qui lui permettra de faciliter son déploiement au Grand Export. Stéarinerie Dubois conçoit, produit et commercialise une gamme complète de produits et de solutions — essentiellement des esters à valeur ajoutée — respectueux des hommes et de l’environnement pour ses clients dans le domaine de la cosmétique, de l’alimentaire, de la santé et plus généralement au service de l’industrie. Step, born in 1983 from the idea and vision of Irma Ghignone, is a solid manufacturing Italian company. Innovation, creativity, flexibility and quality are our essential characteristics to become a reliable partner for your development in the cosmetic area. Step was born and evolved as a make up producer for private labels with a well established overview of the market. Following this path, in 2015 Step began its own skin care / hair care production project, investing in “white cosmetic” technology. Therefore step is the ideal supplier company for b2b meetings where every single product in cosmetics can be discussed and created. STRAND COSMETICS EUROPE, your Partner for make-up and skin care products. From formulation to production, our expert teams are dedicated to satisfying your needs. STRAND COSMETICS EUROPE is compliant with ISO 22716 and drives its integrated management system according to ISO 9001, ISO 14001 and ISO 45001. Furthermore, STRAND COSMETICS EUROPE obtained SEDEX international conformity in 2016 about its RSE Policy. STRAND COSMETICS EUROPE, 50 years of passion and expertise dedicated to the creation and success of your formulas. Taiki is the global expert in cosmetic application, combining science and design to provide innovative solutions to the leadingbeauty brands. Taiki produces your customized makeup sponges, brushes, applicators, packaging and sheet masks. TJ Group manufacturing high quality of cosmetic products in our own make up factory which follow the FDA Regulation, REACH Compliance and Cruelty Free, also passed quality certificate by ISO 9001 Quality Management Standard, SGS ISO22716 Certification, SA 8000 Certification and GSV Certification. We are confident that TJ Group is your best choice of cosmetic factory to the needs in manufacturing make up. Founded in 1979 – TECNOCOSMESI is the world leading manufacturer of high-end COLOR COSMETICS, SKIN CARE and SOFTGEL CAPSULES. TECNOCOSMESI offers BULK, SEMI-FINISHED products and FULL-SERVICE, managing flexibly our PRODUCTION capability using mainly baked, atomization and extrusion technologies. R&D laboratories, STRATEGIC & CREATIVE MARKETING and CUSTOMER SERVICE work together to satisfy all demands in terms of new TRENDS and FORMULATIONS. Our QUALITY concerns with EQUIPMENTS, TECHNOLOGIES, SUSTAINABLE COMMITMENT and INVESTMENTS in RESEARCH and CERTIFICATIONS: FDA ,ISO 22716:2007, ISO 14001. QUALITY, EXPERIENCE and CREATIVITY make TECNOCOSMESI the ideal partner for your projects. • Finishing: Vacuum metallization, lacquering and varnishing of plastic and glass, hot stamping, pad printing, serigraphy, assembly, gluing glass, etc. Complementary to our industrial offer, we have very strong partnerships through Texen Beauty Partners offering you the most complete range of products. Innovation and creativity drive our success and have earned us the trust of many of the world’s most prestigious brands. Thai Ho Group is the first ODM cosmetics manufacturer to be listed in Taiwan OTC with stock name as F-太和 and stock code as 4136. Thai Ho is entering the Taipei Exchange market in the second quarter of this year. The company’s operation headquarter is located at No. 165, Min Qiang Road, Song Jiang District, Shanghai, China. Thai Ho owns three R&D centers; one located at Shanghai at its HQ location, One at Ginza, Tokyo, and one at its Taipei Office location. The company has about 800+ employees and its Japan Plant has just started operating at the beginning of 2018. Thai Ho is currently planning on building another plant in the US and Italy in order to serve more international clients. Toly is one of the world’s leading luxury packaging manufacturers in the cosmetics, fragrance and skin care industries. With over 45 years’ experience in plastic injection moulding, Toly has the ability to take a concept through design, prototyping, tool making and development into mass manufacturing. Being vertically integrated, our internal manufacturing processes include, decoration, assembly, mirror cutting, U.V. lacquering and metallising. Tonnie Cosmetics Co., Ltd., established in 1970, is one of the leading professional cosmetics manufacturers and exporters in Taiwan. Tonnie is certified with GMP, ISO 22716:2007(E) and ISO 9001:2008. Our product range includes lipstick, lip gloss, eye shadow, eyebrow, eyeliner, mascara, blusher, loose powder, compact powder, two-way cake, liquid foundation, skin care series, etc. We have our own laboratory and are able to test every kind of product, as well as contract SGS inspections. We run whole production line with consistent integrated operations, including research, design, molding, filling, assembling and packaging etc. to provide one-stop services. 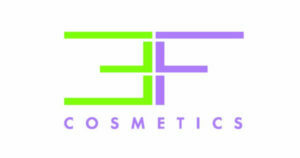 Tre Effe Cosmetics Srl is a contract manufacturer based just outside Milan, Italy. We provide bulk, semi turnkey and full service for clients all over the world. We supply all color cosmetics bar pencils and nail polish, but are specialized in loose and pressed powders. We also cater for many types of special effects and reliefs on powders. Efficient and discreet, we pride ourselves on excellent customer service and total flexibility. Come and see our new range of trendsetting products! VIROSPACK is the leading manufacturer of cosmetic dropper packs for skin, hair, nails and make up. In-house production and decoration of all components and processes -glass, plastic injection and compression, rubber injection, painting, silk screening, hot stamping, metallization, texturized finishes- with large capacity and flexibility, under strict QA control levels, consolidates Virospack as The Dropper Company worldwide. Knowns for its long professional trajectory, for its quality in production and service, and committed to design and innovation, Virospack develops new proposals every year offering customers a wide range of standards easy to customise, as well as client specifics. Weckerle Cosmetics delivers leading innovations in all aspects of contract manufacturing with full-service for beauty products for lips, eyes, face and body. The company operates internationally for over 40 years in the Color Cosmetics Market and has production sites in Europe, USA, South America and China. The headquarters are based in Germany. Weckerle Cosmetics creates customized solutions and stands for its main philosophy ‘Innovation never ends‘. World Sponge Manufacturing Co., Ltd. was founded in 2013 and specializes in producing cosmetic applicators and accessories with a long experience in the cosmetic industry. Through consistent development of sophisticated automated technology and flexible design, World Sponge produces wide range of high quality products such as sponges, puffs, applicators, brushes and containers. World Sponge has developed two unique applicator containers which are patent pending. Merry-Go-Round Applicator Container and Twister Eyeshadow Applicator Pen are newly developed with unique mechanisms to easily apply make-up which will be displayed mainly at this show. ZIGNAGO VETRO GROUP, THE EUROPEAN GLASSMAKER FOR COSMETICS&PERFUMERY Zignago Vetro Group is a world leading glass manufacturer for the markets of Cosmetics, Fragrance, Skincare and Spirits. The brands belonging to the Group are ZIGNAGO VETRO S.P.A., VERRERIES BROSSE S.A.S. and HUTA SZKLA CZECHY S.A, whose plants are located in Italy, France and Poland respectively. With their own know-how, excellence and specialization they are able to deal with any kind of request either for creative or productive needs, covering every particular market segment: from the luxury to the mass-market, going by way of masstige and lifestyle.